Creators hope to help activists in countries where DNS manipulation is widespread. 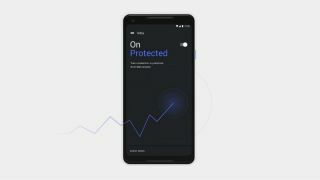 Google has revealed the launch of a new app which aims to stop the government and hackers from messing with your mobile device. Intra, a privacy app set up by Alphabet-owned tech incubator Jigsaw, is now publicly available and free for download following a test run in Venezuela. This also means that the trial run, which was supposed to be small but ended up with thousands of people worldwide, has come to an end. Intra's goal is to tackle DNS manipulation, one of the most common ways of censoring internet content, blocking access to sites and spreading malware. It does so by encrypting the connection between the phone and the DNS server, making it much harder for malicious actors and governments to tamper with the traffic. "DNS manipulation represents one of the most common forms of censorship in the world," said Justin Henck, a product manager at Jigsaw. "That's true for people at risk as well as those who are just trying to live out their lives and understand what's going on." Henck's words were confirmed by Usenix's Global Measurement of DNS Manipulation report, which states that more than 60 countries around the world manipulate DNS to block or censor certain parts of the internet, with Turkey, China and Iran among the worst offenders. The app is available via Play Store here.